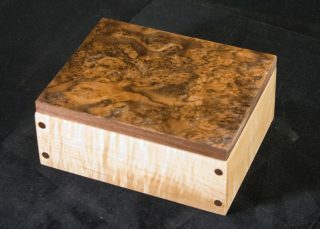 The body of this box is sheesham with rosewood pegs at the rabetted corners. 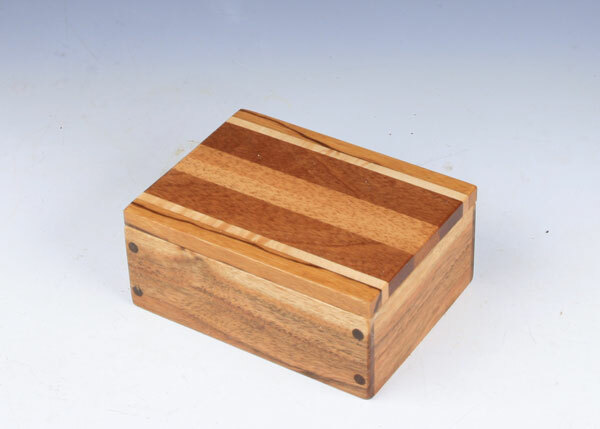 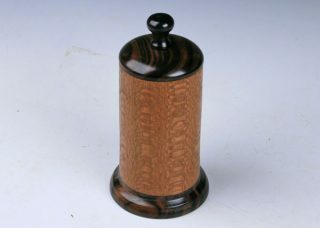 The lift off lid is a laminated panel of several exotic woods listed below. 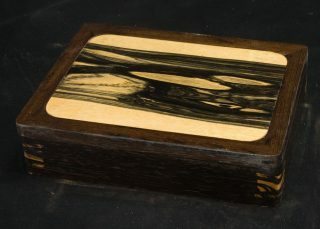 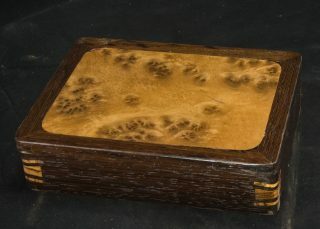 The box is signed and all the woods used are listed on the bottom. 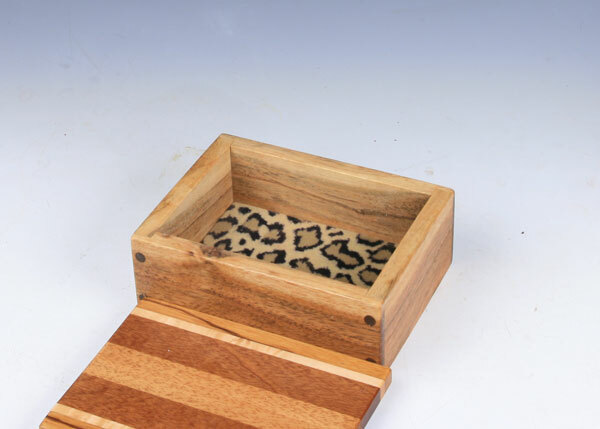 Lined with leopard suede cloth.